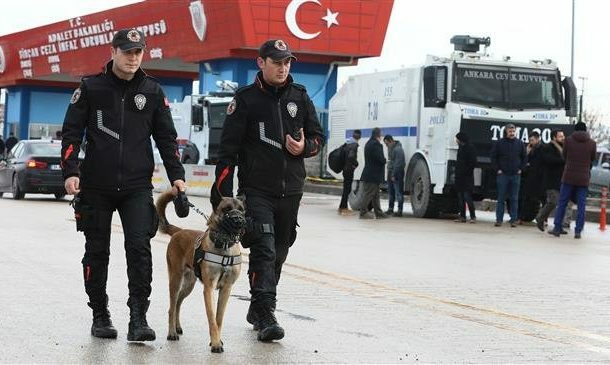 Security forces in Turkey have arrested 52 suspected members of the Takfiri Daesh terrorist group in a counter-terrorism operation in the northwestern province of Bursa, police sources say. The state-run Anadolu news agency cited unnamed police sources in a report on Thursday as saying that the operation had been conducted in five difference locations in the central Osmangazi district of the eponymous provincial capital. According to the sources, who spoke on condition of anonymity, the arrested suspects were all Syrians. In recent years, Daesh terrorists have carried out a series of gun and bomb attacks in Turkey. Back in October 2015, twin bombings targeted a pro-Kurdish peace rally in the capital, Ankara, killing 103 people and injuring more than 500. The government blamed Daesh. In another attack, the terrorist group launched a bomb attack that killed a dozen people in the city’s historic heart in 2016. On January 1, 2017, Daesh terrorists attacked a nightclub in Istanbul and killed 39 people. Turkey has stepped up anti-terror operations against Daesh’s network inside the country in the last couple of years, arresting many suspected terrorists and busting several terror cells across the country. Turkey arrests over 100 people suspected of having links to the Takfiri Daesh terrorist group. The terror group, which once held large swaths of land in Syria and Iraq, has already lost all of the urban areas it had overrun in both Arab countries, thanks to counter-terror operations carried out by the Syrian and Iraqi armies.